Nintendo Russia has shared a brand new video today featuring highlights from Comic Con Russia 2018, showing off the fun and games on offer at the event for all to see. Interestingly, though, the video rather heavily features someone who you wouldn't expect to appear. Yes, Bryan Dechart, known as the actor behind the role of Connor in Sony-exclusive title Detroit: Become Human, joins in with some Super Mario Party shenanigans and is even featured on Nintendo's own stage area. 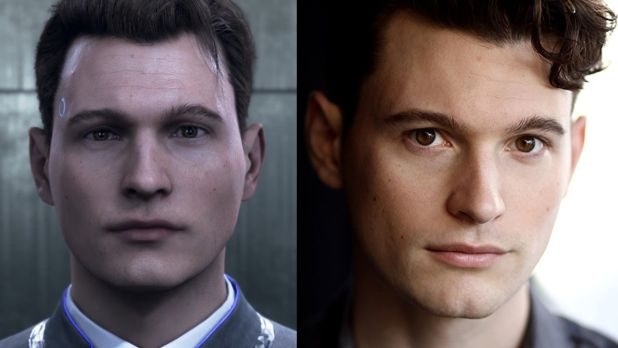 Instantly recognisable thanks to Detroit: Become Human's face mapping, seeing Dechart on Nintendo's stage is almost like seeing one of Sony's mascot characters advertising Nintendo's games. 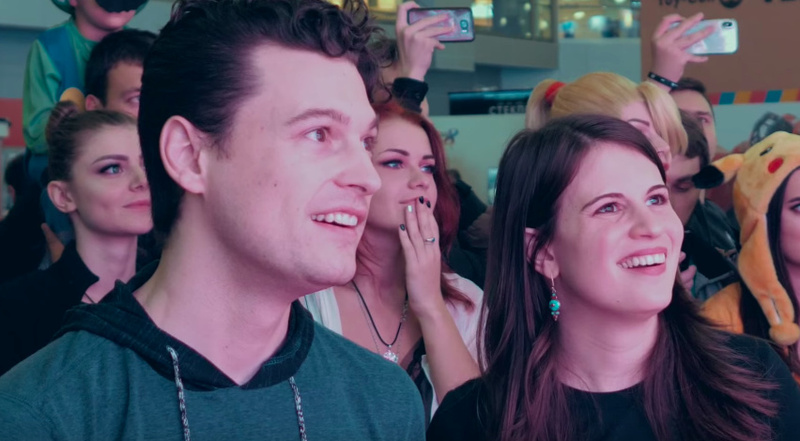 Dechart is also a popular Twitch streamer and YouTube personality, perhaps providing a little more explanation behind his stage appearance, but it's still an interesting little turn of events regardless. You can check out the new video for yourself below. Thanks to Yuri Litvinenko for spotting this one! Avengers confirmed for Smash Ultimate. Mario Party is the ultimate test to become human. Is it really a slow news day or are we really starting to reach for the bottom of the barrel kinda articles? That Thanos 'cosplay' made me laugh so hard. Nintendo really needs to announce some new exciting games. NL is about to start writing about Birds at this point. Actors need to pay bills. SO they keep working on stuff that need - Actors. My name is Conner. I am the Android sent by CyberLife. Detroit: Become Human confirmed for Switch in second half of 2019 (when the Switch Pro launches). Two questions. Who, and why? Sloooow news day. Next on Nintendo life: Reggie spotted at McDonalds new Nintendo based Happy Meal coming. Didn't this happen already in the PS3/Wii days with that Kevin Butler guy? Connor and Clancy Brown’s characters in Detroit were some of my favorite arcs in Detroit: Become Human. Definitely one of my favorite games of its type in recent years. The girl next to him is his girlfriend, she's also in the game... as a stripper. "Thanks to Yuri Litvinenko for spotting this one!" No. Bad Yuri. Go sit in your corner. @ryancraddock Don't make me get the newspaper. Come on... Raise the bar, Nintendo Life! Raise the bar! @meppi64 Two answers: an actor, and clickbait. I don´t see any relation. It´s a noname-actor who´s done a job for a video game like hundrets of others before. If you won´t identify him as the actor for a Sony videogame in your article, probably no average Joe would ever do. What would Nintendo Karen do? @DavidMac Ignorance is bliss. Go read an article on ethnic groups in Russia and don't embarras yourself. @NEStalgia Don't let the Chickens hear you - apparently they out for blood. @Agramonte LOL, I hadn't heard about that! Though, chickens are nasty little buggers. They deserve a hidden blade. I wonder if Greece had access to all eleven herbs and spices? @EasyDaRon Its kind of neat. Detroit Become Human, is one of Sony's flagship PS4 games that is on a lot of their advertising for the console. That and with Conner's face being based off Dechart's anyone who watches the video will have a double-take going "Is that Connor?" It is not mind blowing, but a neat novelty for fans of Detroit Become Human. What a lot people will not notice is that the girl next to him was also in the game. Amelia Rose Blaire was one of the Tracis in the game and is married to Dechart. It is fun to watch their playthrough of the game and watch them get to a certain chapter which deals with a Traci and Connor. Imagine my reaction when I read the article's title twice without noticing the word "actor". If that was your guess, you won. @dougphisig I can think of two reasons for the character looking a bit off. First is intentional; he's an android and they wanted him to look fake. Second is just financial. I've heard motion capture and facial reconstruction graphics are expensive and they may have skimped. When I played this game and first saw the old man, I immediately recognized him as Lance Hendrickson. So at least in cases where you already know the person, it's pretty impressive. He was so easily the best part of Detroit. Otherwise it's pretty much a normal David Cage game (IE a total mess) but Connor and Hank are just a blast together. What the hell is going on with this website. @Rafke Sort of, the actor who portrayed Sony's VP of Everything, Kevin Butler also did a commercial for Bridgestone tires where he was seen using the Wii Wheel while playing Mario Kart. That commercial went viral as the internet collectively jumped on the irony. Sony sued him for trademark infringement and he wasn't allowed to appear in any other videogame related commercial for two years. Kevin Butler has been missed ever since but I still see Jeremy Lambert pop up on things every now and then so he seems to be doing fine. Bit of a slow news day huh? The Girl next to him is also in the Microsoft exclusive Quantum Break, so the sequel Quantum Switch confirmed? maybe not lol! @TheFox little late on the reply, but yeah the Lance Hendrickson facial work was very spot on. Like you though I already knew who Lance was though which probably helps.